Dang, I'm sure glad that I decided to bind my Winter Baby Girl Quilt the other day. Knowing that I can add my hand quilting whenever and yet already be able to hang it prettily over the crib has freed my mind so much. I've been able to get other things done - crafty and non-craft related - without feeling guilty. 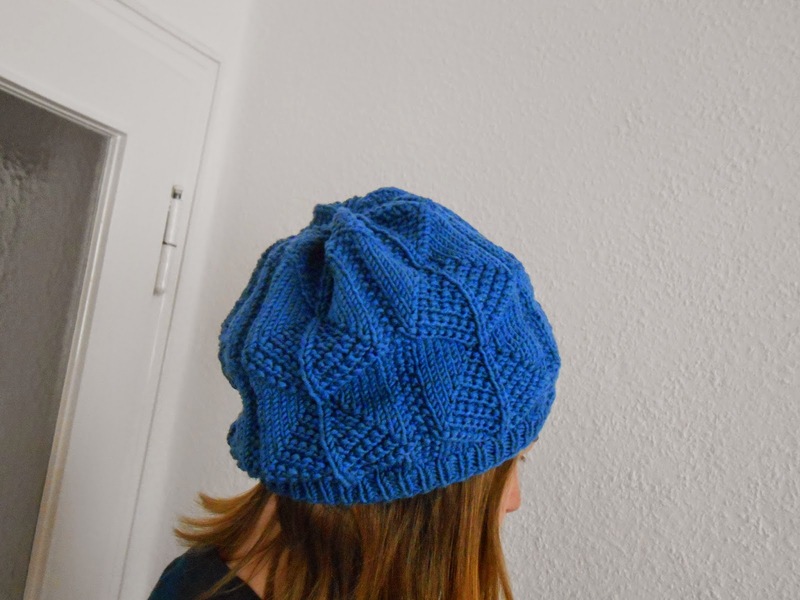 For instance, I knit up a hat for my sister that she asked for in return for her "small to medium craft project of your choice" birthday voucher. She picked Armour Love as a pattern and a beautiful blue wool. I've been sporting the dark grey version since last winter and we only decided to make the brim a little tighter. 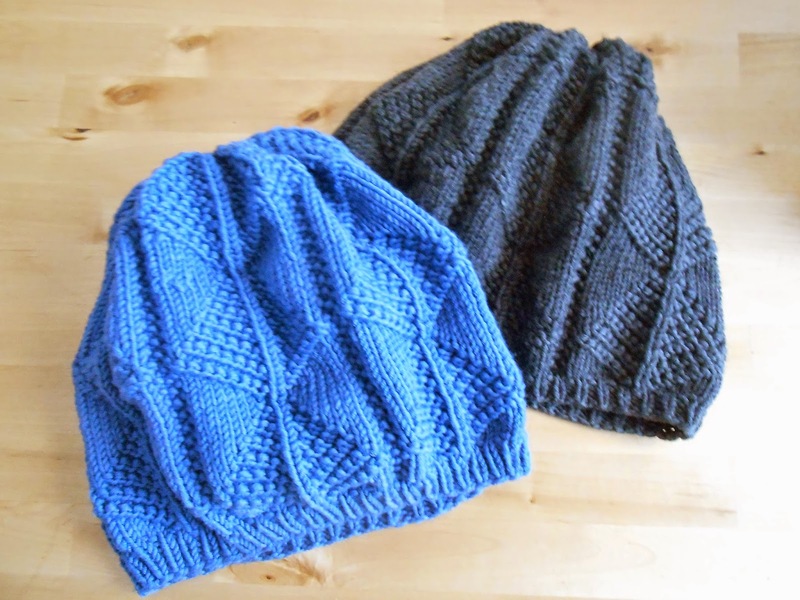 The pattern is a really quick knit with very pretty and comfy results. The diamonds do look a little like Christmas trees, don't they? Thus, I'm able to put a second parcel under the tree for her. Very pleased. I've got another knit project on my hands as we speak which might be ready in time for Christmas, too, or not. If not there's a plan B. If yes the babe still keeps us waiting. What a great idea to give a hand made voucher. I knit socks for all the girls stockings this year. I'm with Carla...what an excellent idea to gift hand made vouchers. Your hats are lovely. Love the pattern and the colours! Just visiting via Janine's blog, from the bottom of the world. Lovely hats-both. The pattern is indeed reminiscent of pine trees, seasonal and yet the diamonds can be worn long past the holidays, pretty pattern. Thank you for sharing, and happy holidays! Cute beanies. I love the colours, too. Winter Baby Girl Quilt #10 - Basted!